If you are a fan of antique cars and relaxing summer drives, make sure you check out this year’s Antique Car Club Fun Run in Big Bear Lake. 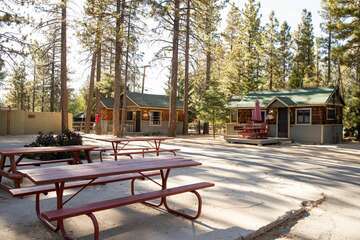 This annual event is held each year in the Village of Big Bear Lake in Southern California for a weekend of fun and excitement. The Big Bear Fun Run is in its 29th year and has developed a favorable reputation with locals and tourists alike. 500 pre-assigned parking spaces will be filled with all kinds of classic and antique vehicles for your viewing. Saturday afternoon, the ‘Cruise Around the Lake’ takes attendees around the lake to enjoy the many beautiful views. Finally on Sunday, an awards presentation will be held to for the top voted automobiles of the Big Bear Fun Run. Enjoy this year’s Fun Run at Big Bear Lake for absolutely free! There is no admission fee for attendees, and you can enjoy from a large selection of local vendors selling delicious food, drinks, and souvenirs. Live music will be played from local artists as you hang out and talk with other classic car enthusiasts. If you are interested in hosting one of your vehicles this year, make sure to fill out an application that can be easily accessed at http://www.antiquecarclub.org/funrun2018.php. Enjoy this year’s exciting Antique Car Run with the whole family! 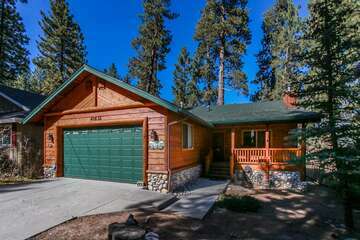 Make sure to contact our rental experts at Big Bear Cabins to find the perfect vacation cabin that is just a short drive away from the Antique Car Club Fun Run. You will be just a short drive away from this exciting event and many others in the Big Bear Lake area. 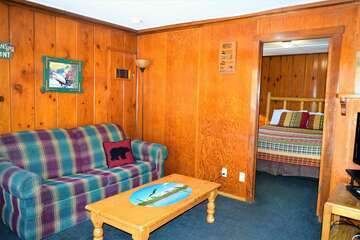 Enjoy your next Big Bear Lake vacation getaway with one of our luxury vacation cabins today!